If you exaggerate the ‘u’ in genuine and make it sound like new, or modify the ending to sound like divine in your oral pronunciation, then genuine suddenly rhymes with swine and gives the phrase genuine swine the melodic ring of a lullaby. The phrase may be unpleasant content-wise but that does not mean that the aesthetic of its sound quality has to be ruined too. The duality of the phrase can be likened to human characteristics, people may appear genuine initially and, on the exterior, may look innocent and even beautiful but that does not mean that the inside is not rotten. However, the double entendre does not end there. 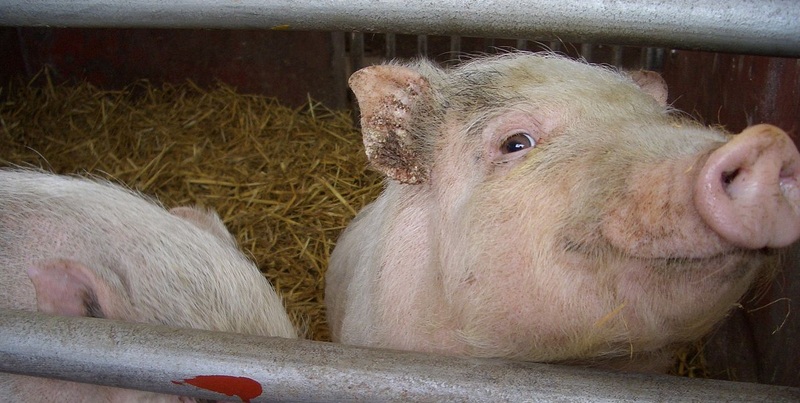 Someone may be a genuine swine in the literal sense – they are genuinely a pig. These people are exactly what they appear; they do not put on the pretense of being a good person and are blunt about themselves and their intentions. The least we can do is respect their bluntness and moxie. Genuine swine may also mean that the person is a swine as in the way they act – they may be uncouth or rude – or they may be a swine in appearance (sometimes we, sadly, still call each other ugly) but then this person may, unexpectedly, turn out to be genuine in the sense that they are kind and forthcoming despite the misleading first layer. If a phrase that, initially, only has pejorative connotations can be broken down and analysed in a way that produces unexpected, even positive results, then people are no different. Meaning and words are nuanced – heavily dependent on interpretation, the way each and every person responds to them may differ starkly. Imagine your class is set an essay to write, you all get the same question but everyone produces their own individual response to it (provided you do not look over your shoulder to sneak a peek and copy). People are just as nuanced and our actions and words may not always produce the expected result. It’s the week after Valentine’s Day so let’s defy expectation and leap to the opposite end of the lovey-dovey spectrum: break-ups. Break-ups are usually a horrible messy affair that end not just in broken hearts but usually in broken PS4s, household objects, and occasionally even limbs. However, break-ups do not always have to be of the ‘I hate your guts’ mentality; once upon a time, they can even be amicable. Where am I going with this? Well, you’ve probably guessed it: I got broken up with the week after Valentine’s Day and a week before my birthday. Hooray for me, am I right? I am not actually complaining though because despite the expected influx of anger and hurt, my intention is not to let the ditching turn sour. Previously, I was in a relationship for two-and-a-half years and had grown close to my partner on a human level – basically, we clicked – and even though I was doing the heart breaking, I was adamant that we stay friends. The initial stage of having remnant feelings is tricky because after you have officially shattered the ‘We Are a Couple’ label in the first few months there comes the grey area. You are both mature enough to put feelings aside and want to stay friends, but one can only push feelings aside so far. We got through it in the end and now are closer than ever on a truly platonic level. Yes, that’s right folks, there is such a thing as ‘The Friendzone’ in reverse. However, this one is tricky because I am the one who got broken up with. Suddenly, it was not me calling the shots. We had had issues and we had talked about it and, as I am a firm believer in talking, I figured we could make it. Alas, I was mistaken. No happily ever after for me. I got a text message at half-past midnight the day after we had hung out and the result was emotional carnage. I did not see it coming. Break-ups are brutal no matter how much humour, wit, or flair you sugarcoat them with. He did not even want to talk. I did not deserve a word. That hurt most of all. But then we met up to talk it through and, you know what, we did. You may call me a sucker for falling for that one and maybe, on some level, I am. But I am open to the idea of friendship post break-ups, and if someone wants to be given the chance to explain I can swallow my pride and give it. For once he was doing the talking and I listened and we, somehow, came to the conclusion of trying out friendship. Once you break up, the person who, at one point, meant more to you than anyone is pushed aside and gradually becomes nothing more than a stranger. If you are both mature enough to try the friendship route, because you do not want to lose someone you have grown close to, then I say give it a try. It’s worked for me before, so fingers crossed!